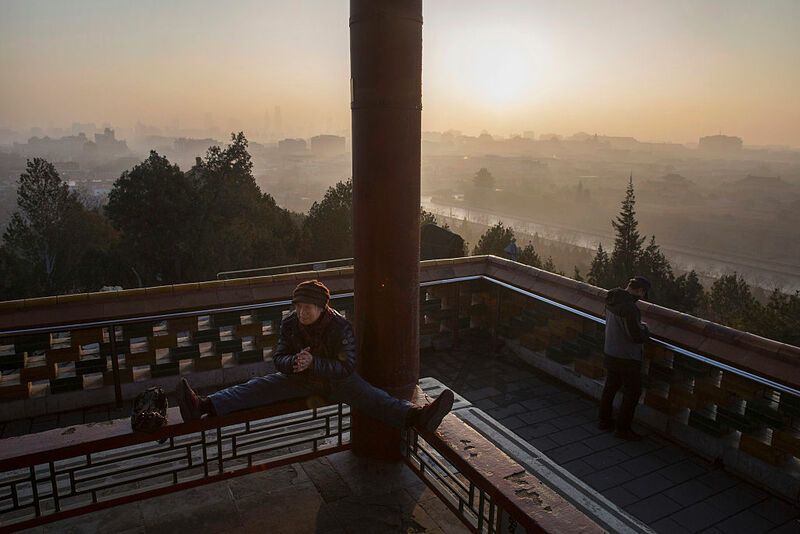 At the risk of sounding like a broken record, Beijing’s air is certainly a lot cleaner than it used to be. In the first three months of this year, the Chinese capital was 27% less smoggy than it was in the first three months of last year, according to new data from Greenpeace East Asia. That’s a remarkable improvement, but one which shouldn’t obscure the worsening pollution problem in the country’s central and western provinces. 69 of the 91 cities where air pollution actually got worse were out west — and their pollution levels increased way more than their eastern counterparts (20% vs 6.6%). But big picture: Things are for the most part getting better. The average PM2.5 concentration across the country stands at around 60ug/m3, a fall of 8.8% from last year. That said, it still goes without saying that the vast majority of the 362 cities monitored (85% in fact) failed to meet national air quality standards, let alone international ones. The Chinese government will probably be chuffed with the latest set of results — mainly because the key regions in the country’s east really are witnessing extraordinary air quality improvements. The stringent pollution plan introduced in 2013 is doing its job, with super cities Beijing and Shanghai 27% and 12% less polluted than they were last year. But it’s not all roses, with central and western provinces largely overlooked by Beijing’s concerted pollution efforts. More cities in the west are getting smoggy than in the east; and the disparity in pollution concentration is growing at an alarming rate. The Xingiang Uyghur Autonomous Region in the west is by far the most polluted province in the country — home to the five smoggiest cities. Henan and Hubei, classed as ‘central provinces’, are next in line. The data arrives as western China pursues a coal-fired economic growth plan, with 75% of power plant permits issued last year coming from this part of the country. Meanwhile the Chinese central government is fighting tooth-and-nail to manage and reduce its substantial coal overcapacity crisis. Still, the trend makes sense. Coal is seen by poorer provinces in the west as a path to prosperity, and the region’s emissions regulations are far more lax. So the smog’s westward migration will probably continue, and possibly even accelerate. This kind of undoes the sheen of air pollution improvement in and around Beijing.